What's that? Are those little popcorn bags? Indeed they are, indeed they are. 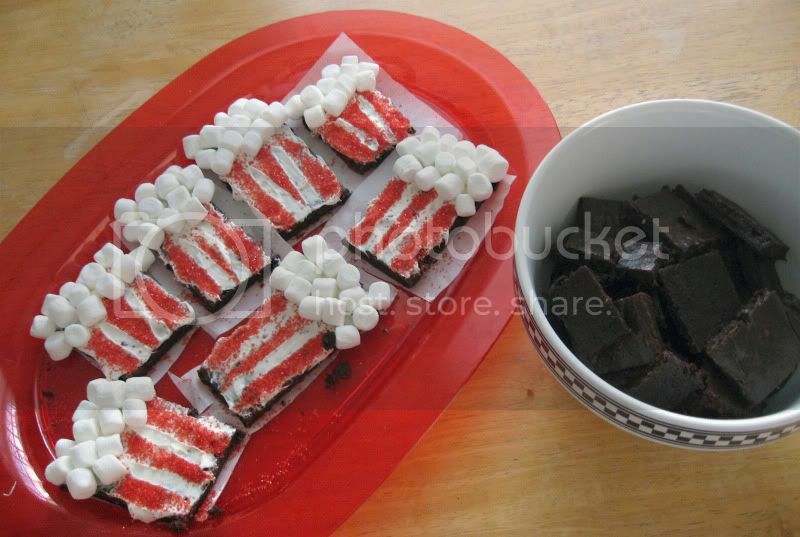 I'm going to a party for the Golden Globes later today and wanted to make a movie-themed treat. I knew I had seen something fun over at Bakerella at some point. And lo! 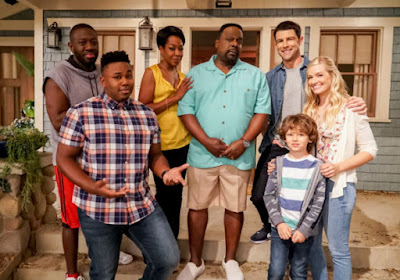 There they were. I also became lazy about halfway through and decided to just make seven of the actual brownie bags, and the rest of the brownies are now little brownie bites. I figure people aren't going to be chowing down on a ton of the popcorn bags because they're kind of large. So how are these made? They're actually quite easy. The longest part of the process is making the brownies themselves, since I made them from scratch. I didn't take photos of that process, as I've done them before, but you can look at the ones I've made before for a reference: Homemade Brownies. What will you need to make these? Confession: I used store-bought frosting. I rarely have milk, and didn't want to make some from the powdered stuff for just a couple of tablespoons, and I knew I had a tub of the store stuff already. 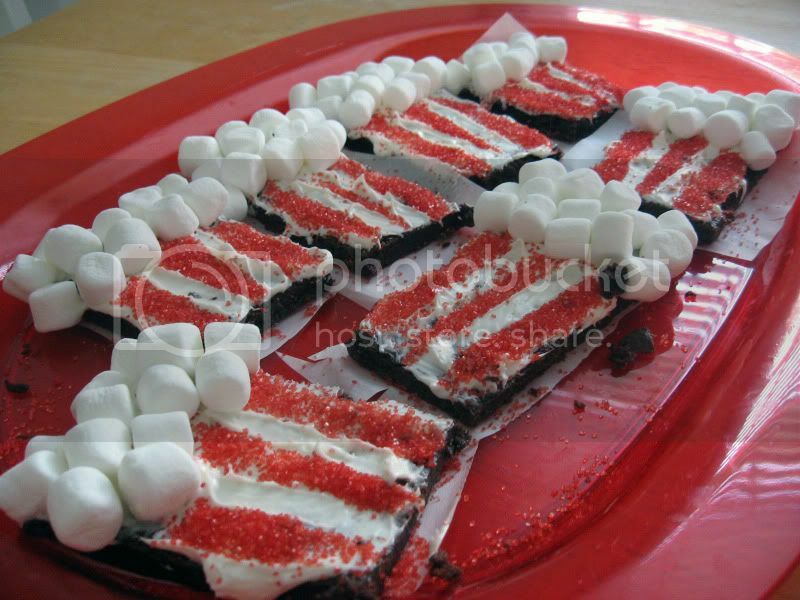 I have no qualms, since I only used some of it and would have had tons of frosting left over. Line a 12 X 18 inch jelly roll pan (or as I call it, a cookie pan) with parchment paper. You can rub the pan with the end of a stick of butter and then the paper will attach and stay in place (I didn't, it worked okay). In a small bowl, mix flour and baking powder together with a wire whisk and set aside (I hardly ever do this and just mix them in separately in the end!). Melt butter and chocolate together in a medium saucepan on medium heat. Stir frequently making sure the chocolate does not stick to the bottom. Add the flour and baking powder. Again, stirring together slowly at first and then more quickly to make sure everything is blended. Bake for about 12-13 minutes. Remove and cool completely. Once cool, use a five-inch popcorn bag-shaped cookie cutter to make 10 popcorn bags. Alternate the direction of the cutter and you can get 2 rows of five bags. Now, I didn't have these, so I just cut them using a pizza cutter into rectangles. 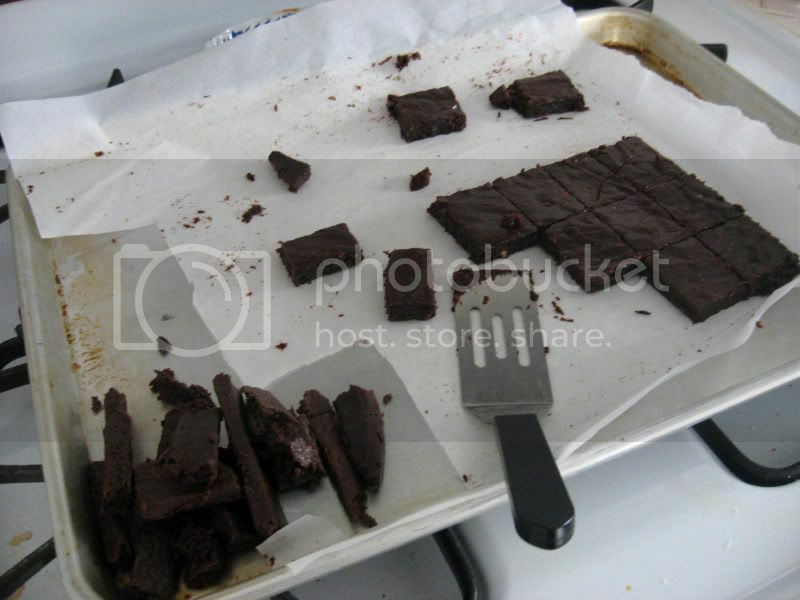 Transfer the brownie to a small cake board to serve individually. Release the brownie onto the board by spreading open the sides of the cutter. Who has cake boards? Not me. I used little pieces of parchment paper. Fill a decorating bag, fitted with a #10 tip. You can also use a plastic resealable bag with corner snipped off. Pipe the outline of the popcorn bag shape and then the inside. 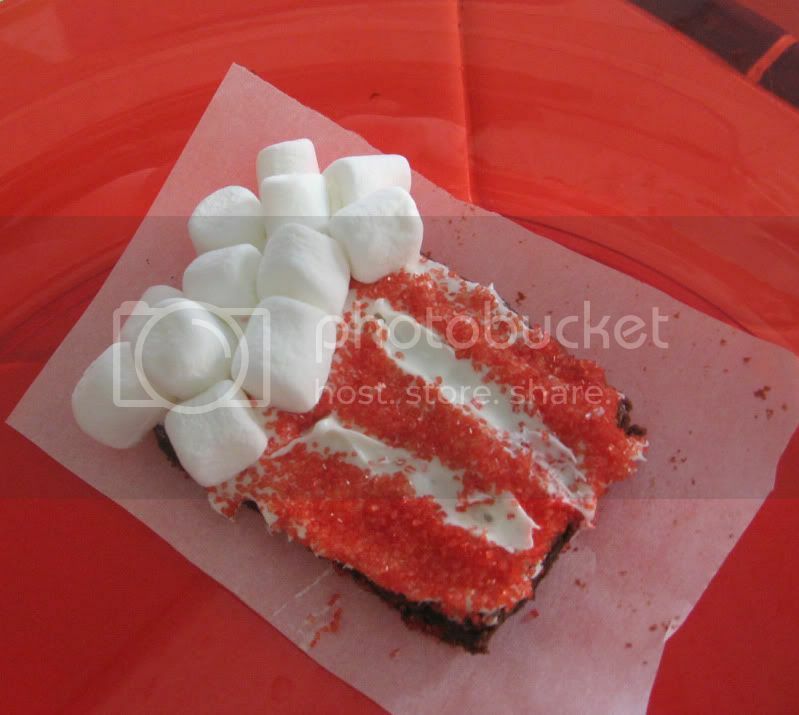 You can then spread the frosting on evenly with a knife or even use one of the popsicle sticks. 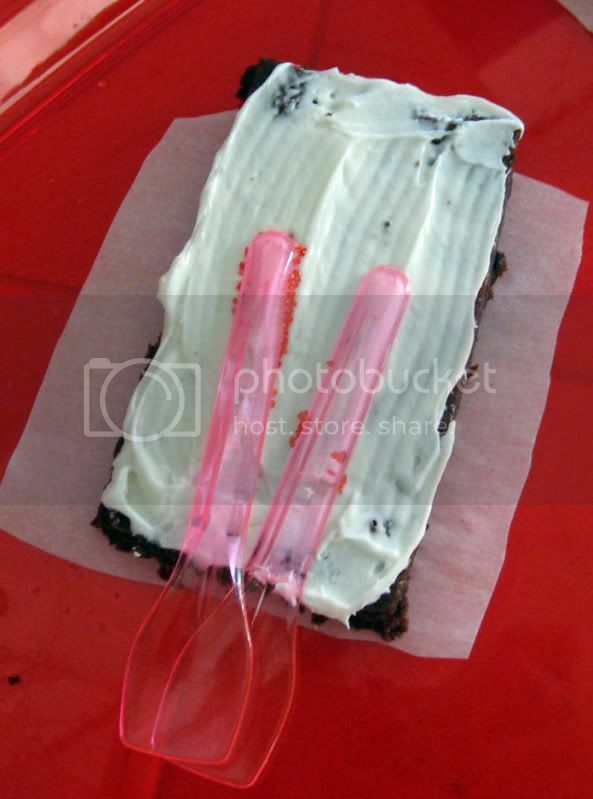 Place two clean popsicle sticks gently on the surface of the frosting. They should be placed at the bottom of the bag with frosting visible on either side of each stick. 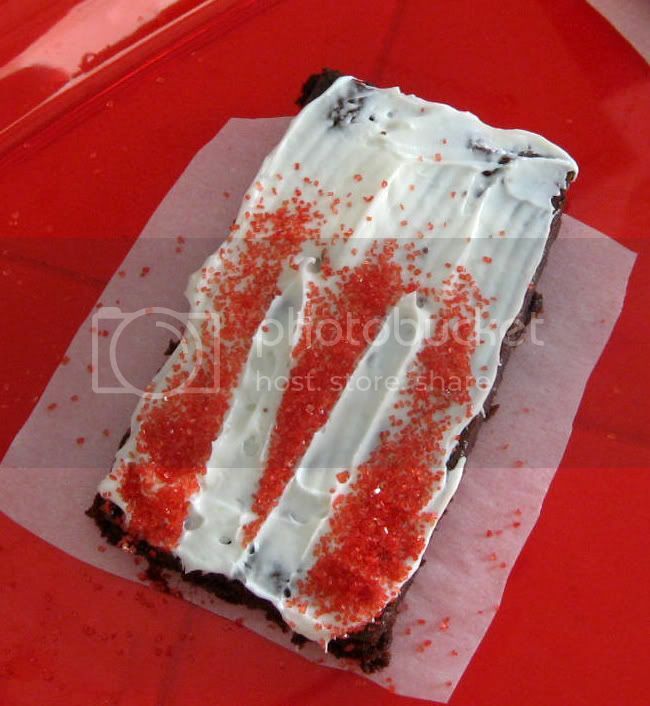 OR if you're like me, you can just spread out the frosting onto the brownie without any outlining or anything, using a frosting spreader. Worked just fine. I also didn't have popsicle sticks, and couldn't find them at Target, so I used these little gelato spoons I had. Use whatever works! 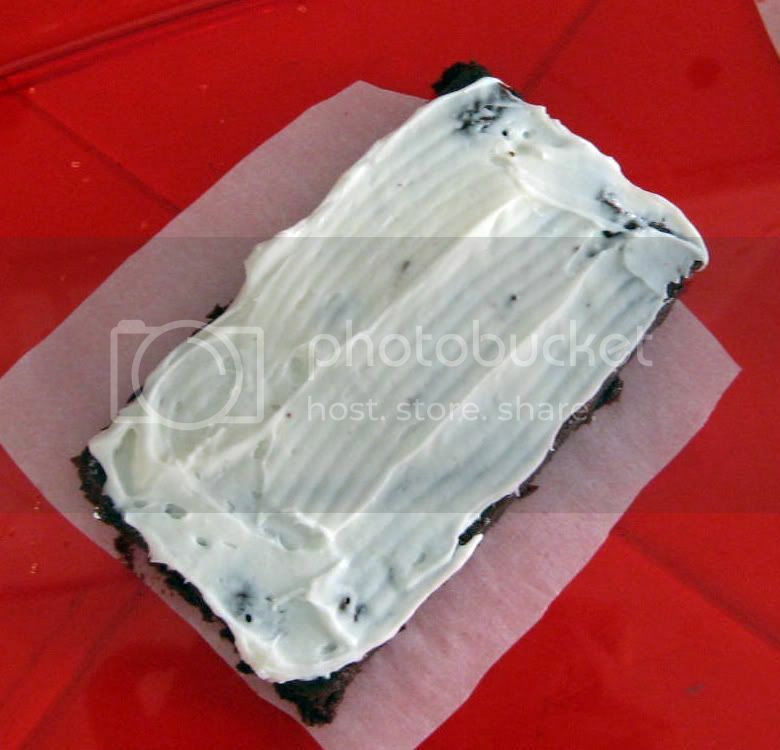 Here is a brownie with some frosting slathered on. I just used a frosting spreader. It's certainly not as neat as Bakerella's way, but do I care about neatness? Not really. I had to use little gelato spoons to outline the white stripes in the bag. They worked quite well. After sprinkling on the red sugar crystals and removing the gelato spoons. The final product! So cute! And some of the carnage left on the baking sheet. I decided to only do about seven of the bags and use the rest of the brownies as brownie bites. You can also see I was being green and recycling the parchment paper from the pan to use for the individual bags. 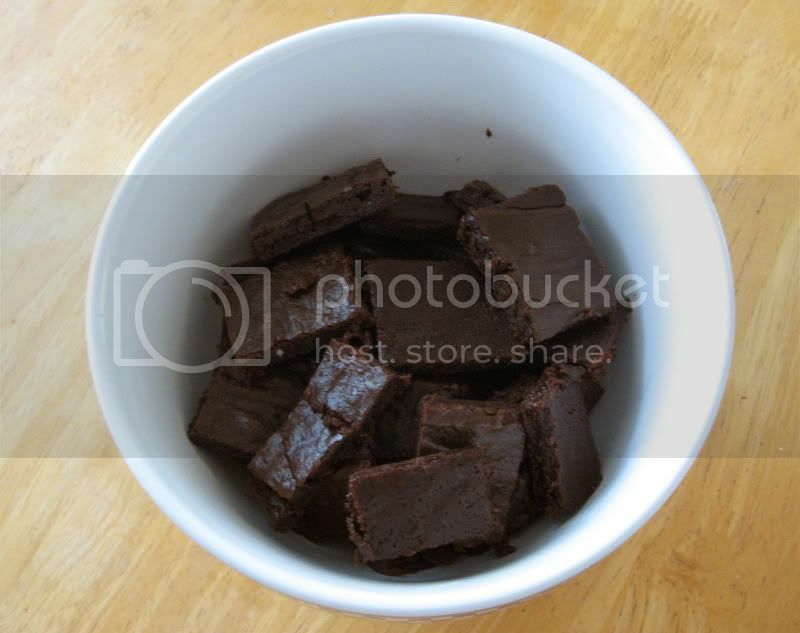 A bowl of brownie bites. Cures any ailment. These are so cute, even if mine are slightly messy. I can report that the brownies themselves in this recipe are quite tasty. They are very rich (lots of egg!) and actually about a quarter of mine weren't quite done when I took them out, so they're extra gooey and I am just keeping them for myself. Shush! I plan on stealing this. Sue me. Enjoy! Seriously, I can't stop eating the brownies.